Coordinate team to print renewal membership forms, buy stamps, and mail envelopes. Lina Makarem was born and raised in Venezuela, where she graduated as a dentist from the University of Zulia. Afterward she moved to the United States and has been living in Memphis since 1993. Lina is a state-certified court interpreter. She has been a TAMIT member since 2010 and in the past has served as TAMIT chair of the education and events committee. She has completed the Health Care Interpreter Training Program at the University of Memphis. In addition, she is a member of the National Association of Judiciary Interpreters and Translators (NAJIT). From 2005 to 2014, she managed her own business, providing language training to individuals and employees in the Memphis metro area. Currently, she is a freelance legal interpreter. As a TN certified court interpreter of Spanish, she interprets court proceedings for the different state courts including General Sessions and Criminal Court. 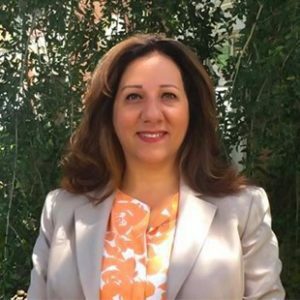 Lina is proud to be part of the TAMIT board of directors, with her superior skill sets and her vast experience she will continue to diligently promote the organization’s mission. Noemi Szoychen was born and raised in Mexico. She holds a BA in Hospitality and a post grade in Hospitality Business Management from Escuela Panamericana de Hotelería in Mexico City. Noemi is also a graduate of the Hayim Greenberg College (Machom Greenberg L’morim) in Jerusalem, Israel and holds a certification as a Hebrew Language Instructor and Educator. Noemi moved to the USA in 1994, and since then Noemi has taught multiple disciplines including foreign language instruction from K-12 to adults throughout schools and communities across the nation. She applies a visionary approach to language acquisition teaching and best practices, as well as 21st Century Education techniques. Noemi’s areas of expertise also include developing curriculum for peer professional development and training in 21st Century Education and Technology. Noemi is fluent in Spanish, English and Hebrew. In addition, Noemi has worked as a freelance Spanish-English, Spanish-Hebrew interpreter and translator in the hospitality, medical, editorial, and education fields. She is a graduate of the Health Care Interpreter Course at the University of Memphis. Since 2016 she has been an on-site Medical Interpreter at Methodist Le Bonheur Children’s Hospital in Memphis. 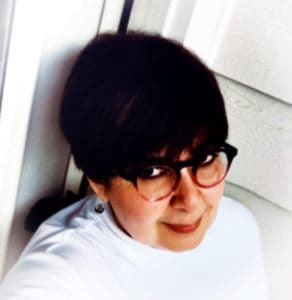 Noemi has been a member of the TN Association of Medical Interpreters and Translators (TAMIT) since 2015 and is the 2017-2019 Chair for the Outreach and Media Committee.